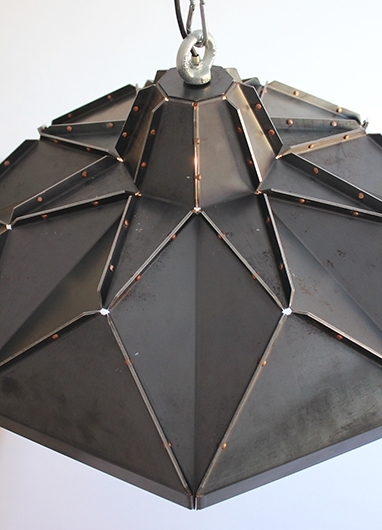 The elements of the Klink lampshade are made of blue steel and joined with copper rivets. The riveting is done the traditional way; by hand, using nothing but a hammer. 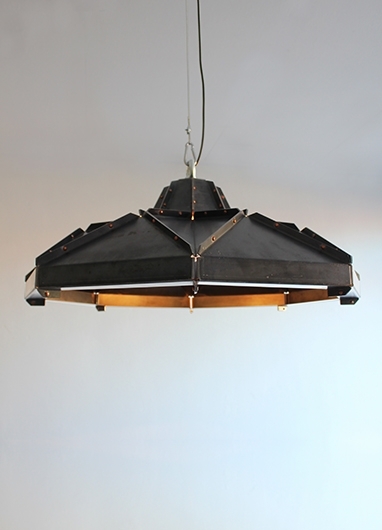 The shape and use of the raw blue steel create an Industrial look, but when you look closer you can see the traditional craftsmanship in the rivets that form the small, decorative details in this design. 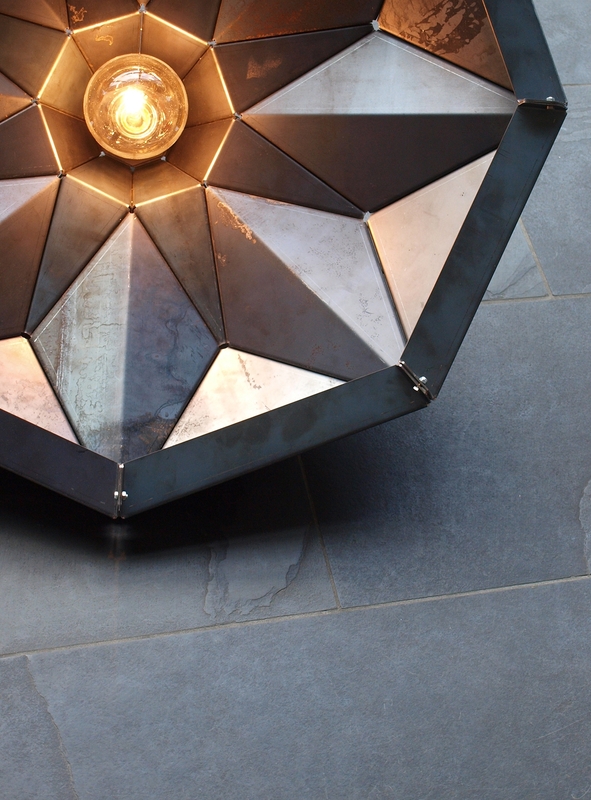 Where the exterior of the shade looks raw and rough, the interior reflects the light creating beautiful, geometric, star formed pattern. 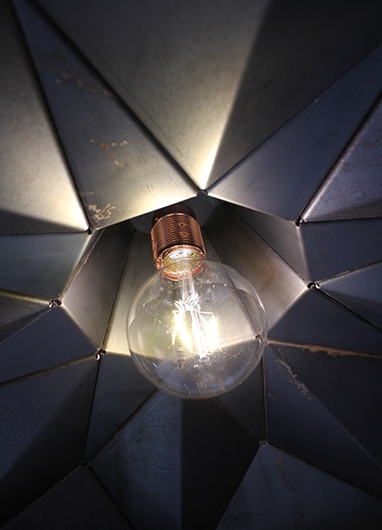 With this contrast between in and outside you might consider this lampshade a diamond in the rough that truly reveals its beauty when you turn the lamp on.